Logistica Ricerca e Sviluppo s.c.r.l. (whose acronym is R&D.LOG) is a limited liability company founded November 10 2005. The birth of the consortium within the Programmatic Framework Agreement between the Ministry of Economy and Finance, Ministry of Education, University and research and the Calabria Region for a measure whose aim is carrying out preparatory actions for the Technological District of Logistics and Transformation of Gioia Tauro. 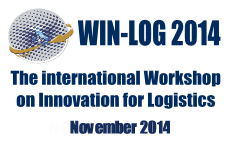 In this context, R&D.LOG has presented a project called LogNet: An innovative network for logistics in Calabria. The R&D.LOG consortium involves Universities and Public research bodies together with various types of companies – from the large terminal operator, to the small logistics company, to small port service providers, to those that provide IT services, freight transport, but also non local companies, interested in starting new initiatives in the area of the Technological District of Logistics and Transformation of Gioia Tauro. R&D.LOG works in the logistics sector, carrying out industrial research, higher education, consultancy, sector analysis and basic research carried out through laboratories. R&D.Log manage teh Innovation Center on Transport, Logistics and Transformation.